Aren't you happy its Saturday? I am! I happy it's weekend, period! Most of my friends love to visit the spa come weekends. But me, it takes a lot of effort to drag me out of the house. I'd rather swim in bed all day, smell my pillow while I watch my favorite TV series. That's usually watching reruns of The Big Bang Theory and How I Met Your Mother. Nothing like a good comedy show to take away the stress of the previous week. Some weekends however, I make it worthwhile. I do facials, footspa and hair deep conditioning. All at the comfort of my own home. You got that right... Who needs to go out in this rainy weather when yu can bring the spa to you. And I don't mean chop and grind the ingredients for all the things you'll need. That's hard work and you'll probably need a real spa after doing all those things. What I mean is gathering all those spa products you've been hoarding and just use them. Here's the 5 steps I do when I'm too lazy to get out of the house and go to my facialist. Papaya and Grapefruit extract also helps in exfoliating skin and getting rid of deep-seated dirt. 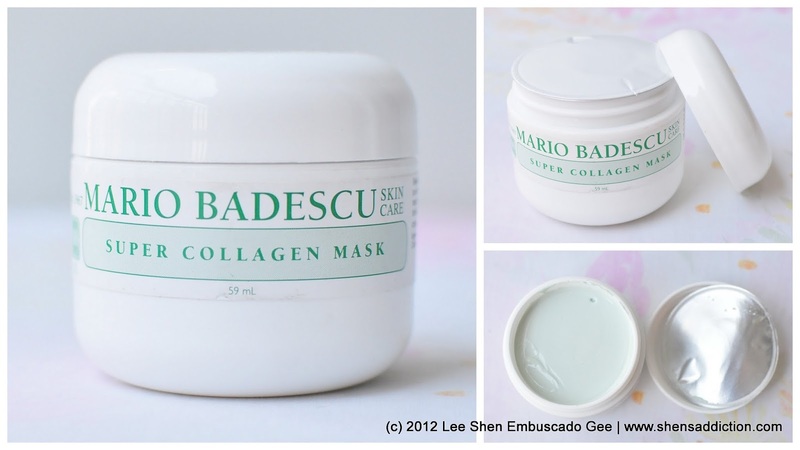 When my skin is doing well, I prefer to use this mask to plump up my skin. It can get dull sometimes and a little battered from all my acne medication so a mask light this really helps. You can also use sheet mask if your concern is more brightening and hydration. But the Collagen mask also doesn't dry out the skin. Kaolin clay and Oatmeal help absorb excess oil from the skin. Collagen is a good anti-aging ingredients, helps blood circulation and plumps the skin. Almond makes skin soft and smooth, a fabulous anti-aging ingredient. Honey is a natural anti-oxidant and anti-bacterial so great for those with aging concerns and needs blemish control. Have you tried Mario Badescu? What's your favorite? If not, what's the product you want to try from this famous skincare line? 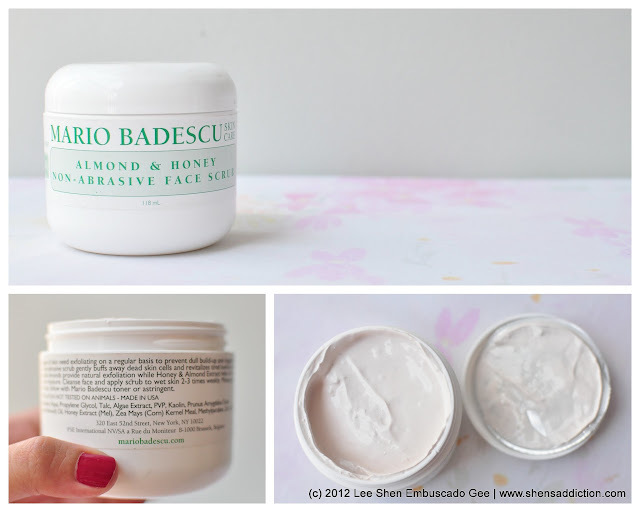 Disclaimer: Above products are provided for review. All that is written unless specified are 100% my opinion and/or the result of my addiction. If you don't see it here, I most likely have not tried it or if I did, it didn't work for me. I do get dud products for review but for gratitude's sake, I choose to not provide my opinion unless I bought them or that it really ruined my skin. it reminds me of the La Mer skincare that cost a fortune! hehe! nice review. totally love it! I've heard raves about the Mario Badescu Vitamin C serum but I couldn't find it in the Mario Badescu section at Rustan's here in Cebu, been wanting to try it for a while now. Will check out that Enzyme Cleansing Gel, since it has AHA.